Ganjifa was a traditional palace game of cards. It has today evolved into an art form. 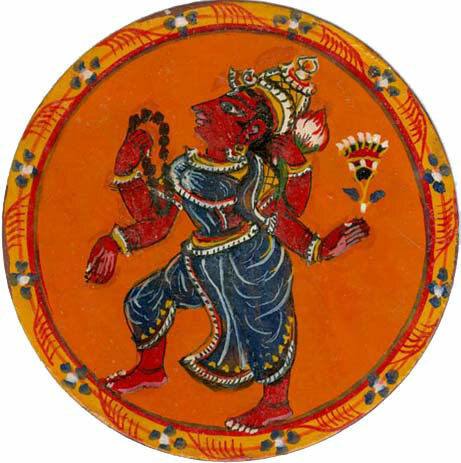 Ganjifa uses images from Hinduism especially gods and goddesses. 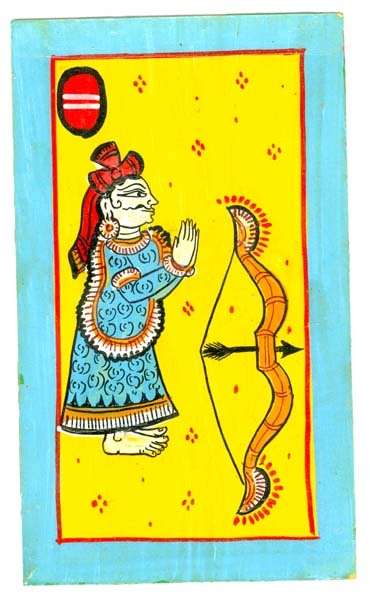 There are also Ganjifa cards based on the stories from Mahabharata, Ramayana and Puranas. 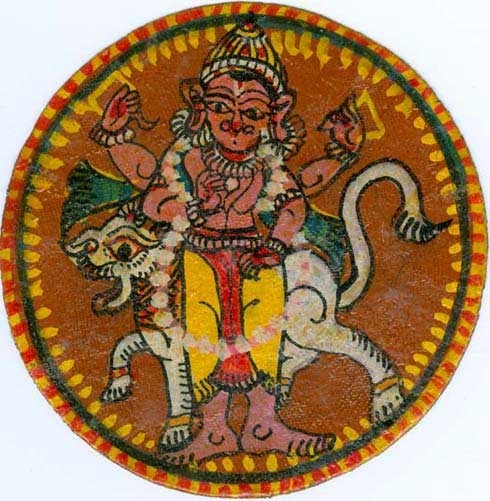 Ganjifa, originally called Ganjifey, survived primarily due to royal patronage and was famous mainly in Odisha. 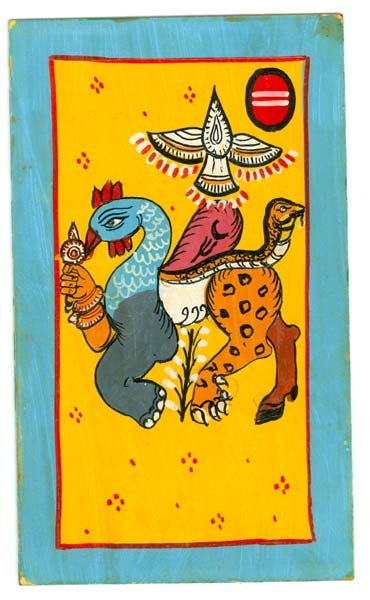 Today the cards are no longer used to play but are valued by collectors. 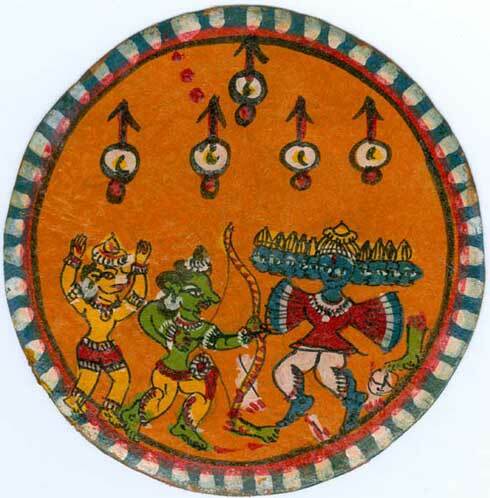 Ganjifa cards are mostly round in shape in all regions but the pictures vary depending on the cultural inclination of the region. There are also rectangular cards in Odisha. 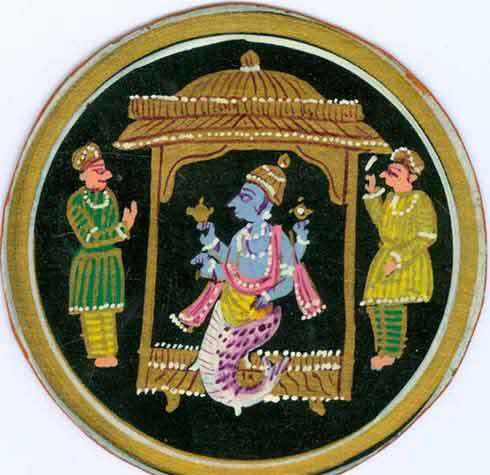 Other popular Hindu themes in Ganjifa are Nakshatra, Rashi, Marriage, Krishna-Radha, Sri Rama Pattabhishekam, Mahabharata, Srimad Bhagavatam, Arundhati and Saptarishis, various forms of Goddess Lakshmi, attributes of Vishnu, musical instruments etc. 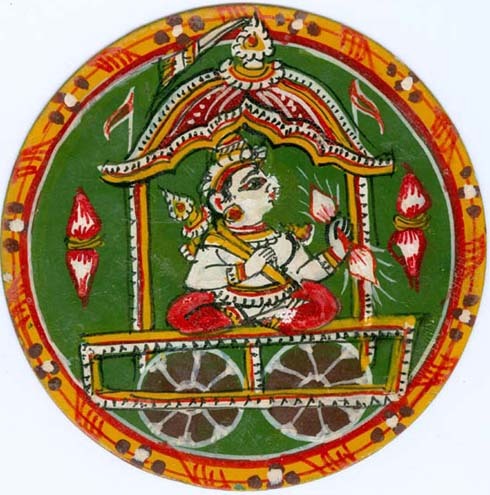 If you wish to have a look at the various types of Ganjifa cards then you can visit the Indira Gandhi National Centre for the Arts Website of Ministry of Culture, Government of India.